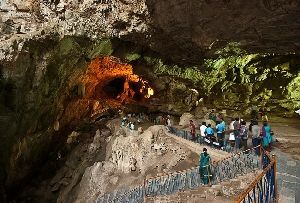 Named after the ancient Sanskrit word, Belum, the Belum Caves is located at Kolimigundla Mandal of Kurnool district which is about 320 kilometers from Hyderabad. 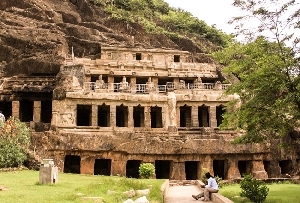 One of the recent developments carried out by the Andhra Pradesh Tourism Development Corporation is the discovery of the Saptasvarala Guha or the Musical Chamber. The interesting fact about this chamber is the metallic sound effects of the stalactites. 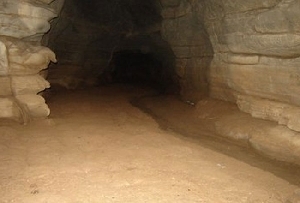 The Belum Caves are almost 3 kilometers long. However, only 2 kilometers of the entire length is open for public viewing. 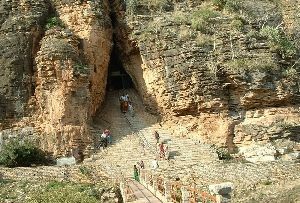 On entry there is a 20 meters descent which leads to the main passage of the cave. The beauty of the caves is heightened by the incredible stalactite and stalagmite formations. 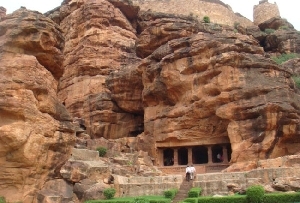 The cave comprises comfortable chambers, fresh water galleries and siphons. The soft light of the caves are very soothing and offers a cooling effect.